As has been widely reported worldwide, in January the government of Burma released from prison over 600 detainees, around half of who were political prisoners. Many of these people the Asian Human Rights Commission (AHRC) had issued appeals for in the last few years. Although we are very happy to see the release of these detainees, many others remain in custody. In this update we provide some details of released and still detained persons. 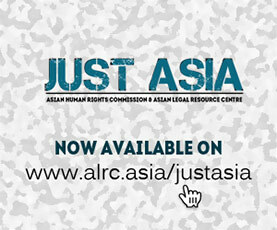 On 13 January 2012, the government of Burma announced an amnesty for 641 prisoners, among who were at least 287 political prisoners, according to a list compiled by the Assistance Association for Political Prisoners (Burma), based in Thailand, available for download here. We are very happy to hear of the release of these persons and thank you for your support for their cases. We are also happy to note that the government of Burma has acknowledged that those released were “prisoners of conscience”, which marks a big change in language from the past, when the government denied the existence of any such prisoners. All of the people in these six appeals have been accused of involvement in bombings for which the information available suggests that they are innocent. Myint Aye was the founder of Human Rights Defenders and Promoters, a local human rights group, and is a human rights defender who was arrested for speaking out over the conditions in the delta following Cyclone Nargis in 2008. He and his fellow accused the police tortured to confess. The AHRC is also receiving details of persons whom human rights defenders are appealing for their release. In the coming period we will issue appeals on some of these cases.